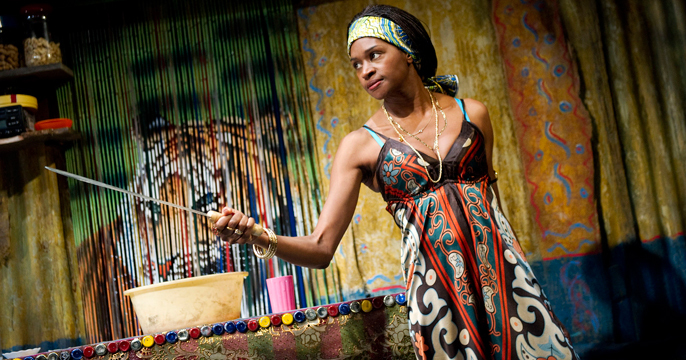 Jenny Jules won the The Critics Circle Award for Best Actress for her performance as Mama in the Almeida’s production of Ruined. She also has been seen at the Almeida in The Homecoming, Big White Fog and A Chain Play. Hosted by Jan Ravens, performers Daniel Evans, Josie Lawrence, Jenny Jules, Jonathan Pryce, Jenna Russell, Samantha Spiro and Meera Syal are joined by Young Friends of the Almeida and and award-winning theatre company Inspector Sands to perform as part of Almeida Up Close, the theatre’s 2012 fundraising Gala. Directed by Indhu Rubasingham, Almeida Up Close will take place on 23 February 2012 at One Mayfair. The evening of fine dining and cabaret will include music by Stephen Sondheim and Amy Winehouse.